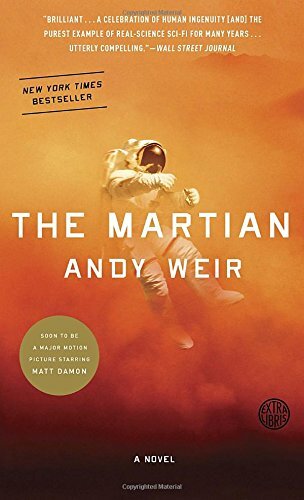 With the recent trailer for the movie adaptation of The Martian there was relatively universal acclaim for the book, so it skipped a whole bunch of others on my to-read list and I’m pretty damn happy I took that route, this was a damn good book and now I’m looking for more from Andy Weir, but apparently this was his freshman effort. This was one of those stories that I bet I’ll be happy that I’ve read the book before seeing the movie. I didn’t get to finish my copy because it came from the library and someone else had reserved it. I was enjoying it too! My problem is that I have a stack of books next to my bed, some library, some not, and a Kindle. I read multiple books at the same time. The library system for the entire city only has two copies of The Martian and demand is high right now. The audiobook version is awesome, btw.